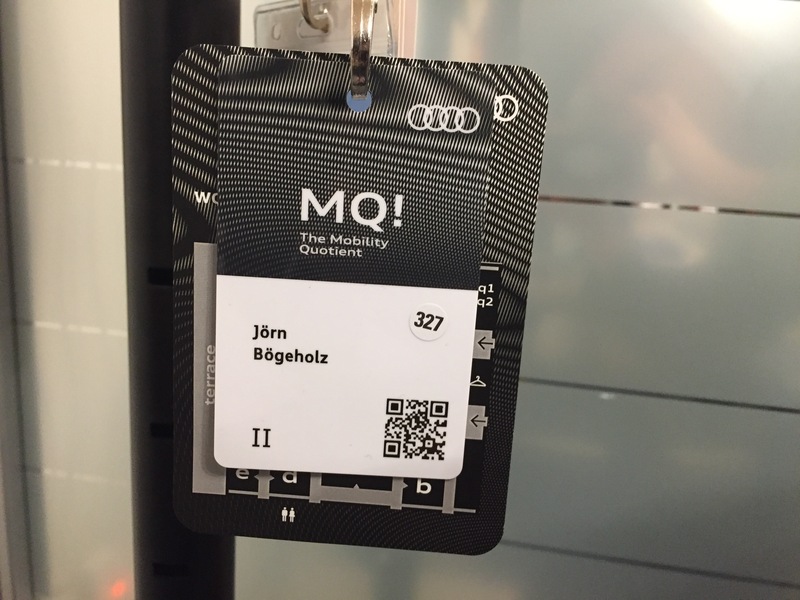 Sometimes You get to something by sheer chance: Scrolling down my Facebook timeline I saw the ad for the Audi MQ!. 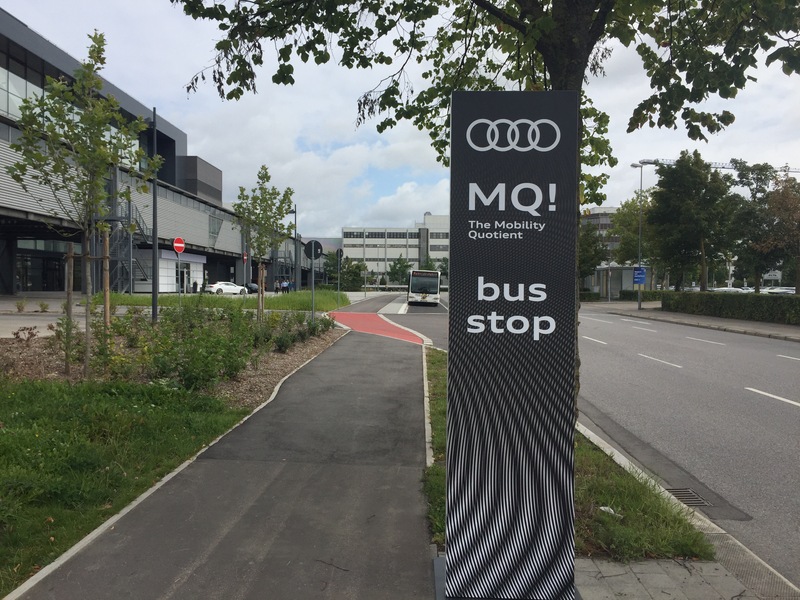 After visiting a couple of bar camps I was curious how Audi was organizing a conference. So the first thing notably different to all events I’ve visited so far was the registering process: Instead of directly buying a ticket I had to write a letter of intent first to lay down my motivation to visit the event. Duh? at the innovation summit MQ! The Mobility Quotient. After that I could finally buy the tickets. I decided to book the “Premium Package” which included an overnight stay in a hotel nearby the venue. You could park at the GVZ and take a shuttle between the venue. The only drawback: I arrived so early, so there was no shuttle to the hotel where I wanted to take a nap before the event. Bummer. So I walked back to my car, drove to the hotel and checked in. At the hotel reception a lady from the event’s organizer gave us some hints about shuttle service to the venue. After taking a nap and making acquaintance with Erik Pellemeier and Balach Hussain, we three were driven in an RS7(!) by a a chauffeur to the venue. At the venue’s reception I was handed an id card and a badge with a little map of the venue location. An improvement would be to print the free wifi info on it as well. 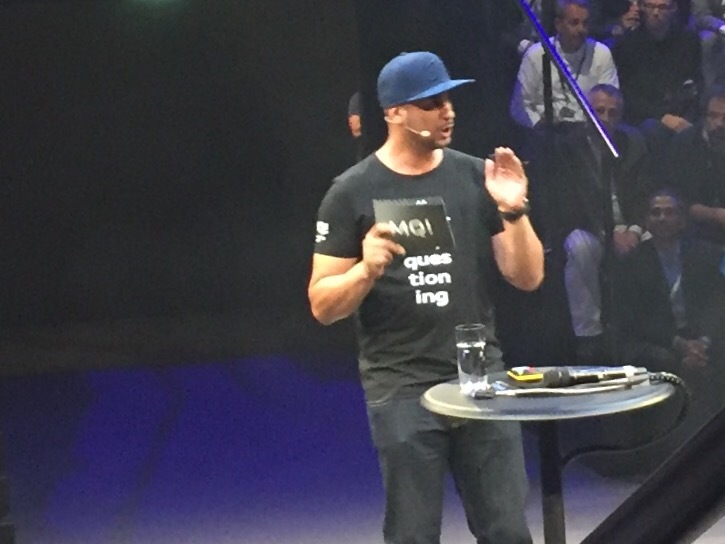 A big surprise: Jean Pierre Krämer of JP Performance was booked as the moderator for the talks. 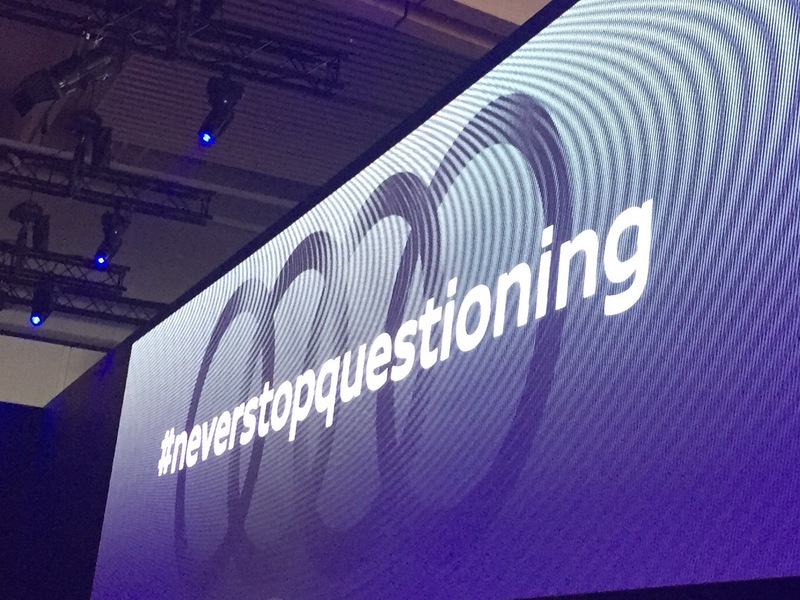 #neverstopquestioning was the official motto of this event. 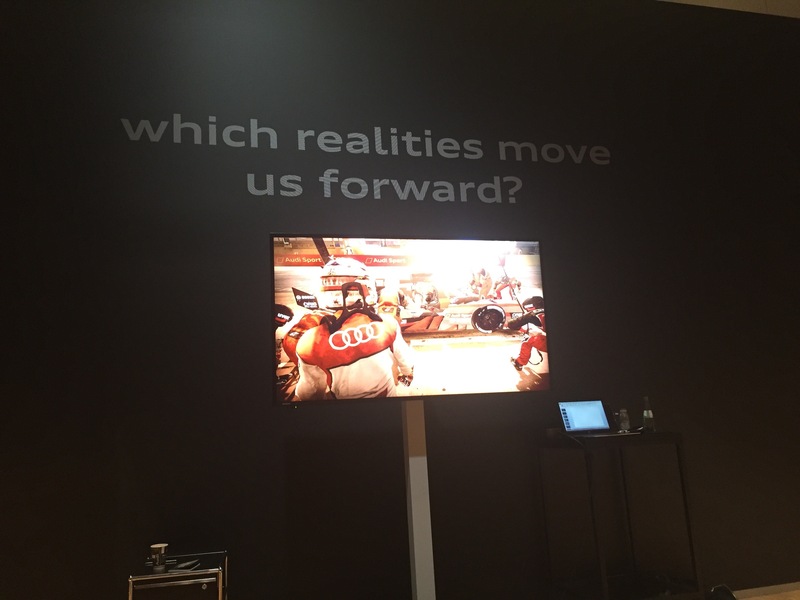 Which realities move us forward? Markus Kuehne -Strategy Lead Immersive Technologies- and his team demonstrated the Audi VR Experience, a VR supported way to configure your Audi at a local dealership. Because I already encountered this concept at Feser-Graf in Nuremberg there weren’t many new insights. 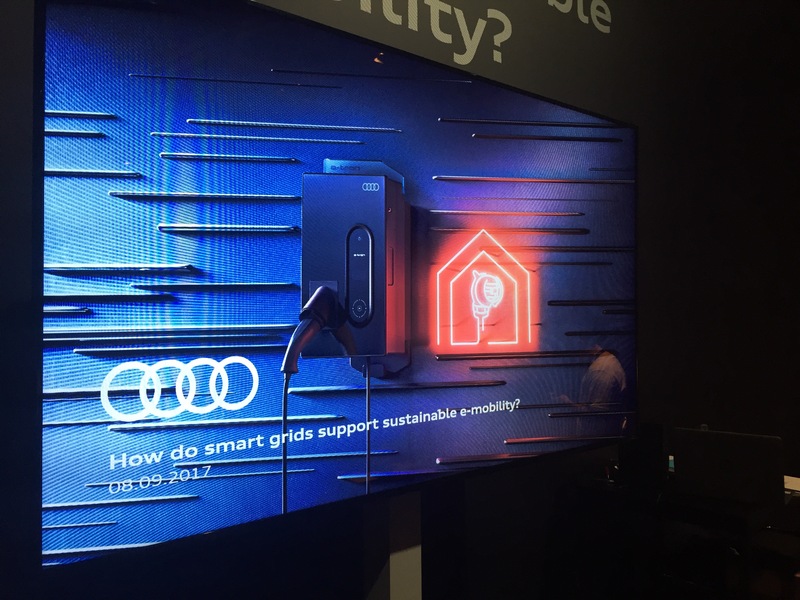 How do smart grids support sustainable e-mobility? 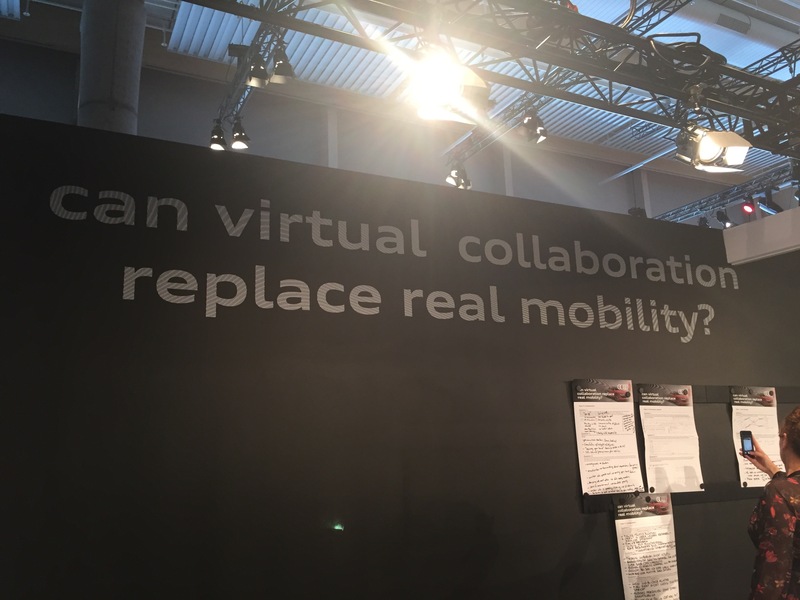 Can Virtual Collaboration replace real mobility? 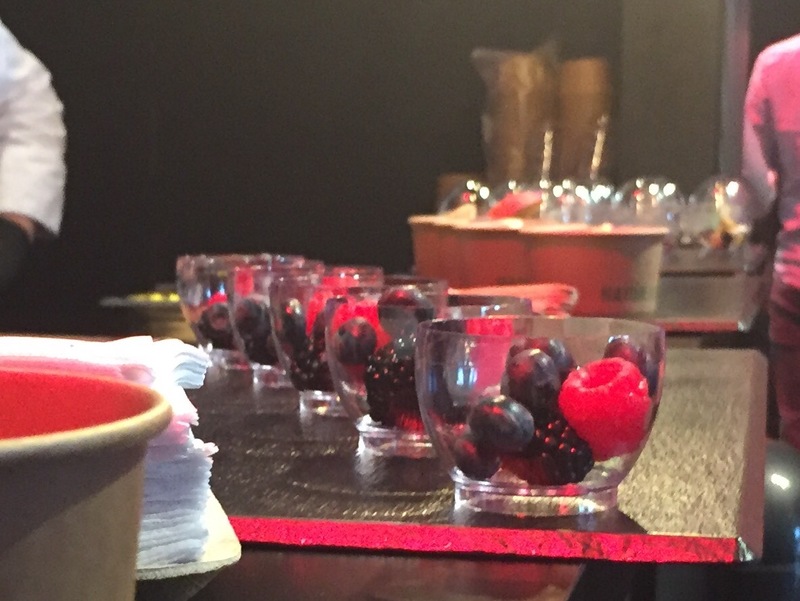 Catering was top notch, just like you would expect from a premium car manufacturer. For a company like Audi it was a big step out of their comfort zone. Inviting people to give feedback -very honest feedback indeed- can definitely improve your business. But: the schedule was very German, if you want to create innovation and foster collaboration you cannot clock the whole day into 45 minute slots. 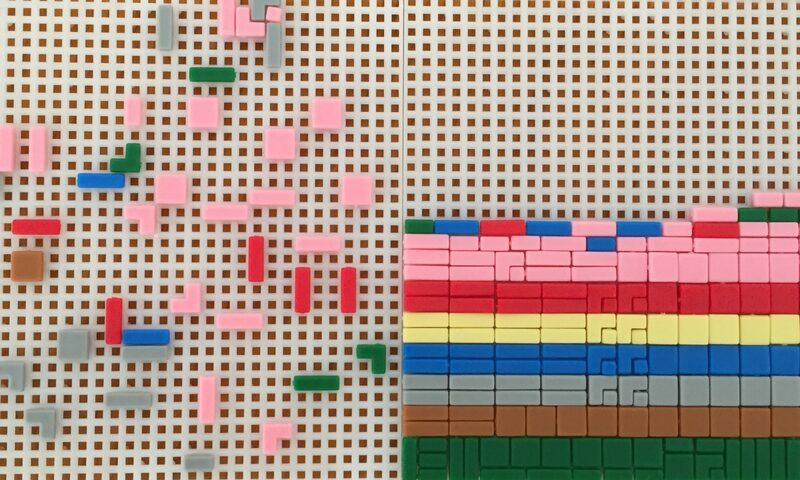 You have to give more space for idea exchange. I will stay tuned for an upcoming MQ!